With dedication and excellent service, Marlene Arden has been successfully selling Urban and Rural properties throughout Southern Vancouver Island since 2001. Marlene has over 20 years of experience in banking, lending and insurance and with this experience has learned to listen carefully to her clients to make sure their wants and needs are clearly met. Residing in Sooke and Victoria all her life, Marlene has the passion and knowledge of these areas needed to help you find that perfect home in the ideal area to fit your lifestyle. 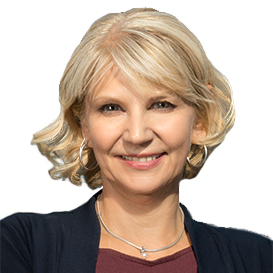 Marlene has represented many fine properties along our beautiful West Coast and is thrilled to be a part of the discovery when introducing clients to what Vancouver Island has to offer. Marlene is proud and honoured to be a part of RE/MAX Camosun, one of Vancouver Island’s strongest and most successful real estate companies. RE/MAX offices are located throughout Canada, the United States and many other countries throughout the world ensuring that your property is receiving the best exposure both nationally and internationally. Marlene has consistently earned top company and MLS® awards and is proud of her earned “Award of Excellence”, “Special Gold” and “Hall of Fame” awards showing consecutive and continuous “Top Producer” results. When you are ready to sell your home or for your next purchase make sure you put Marlene’s “experience…with integrity” to work for you.